I had such a great time this past Sunday educating some fellow stylists on my K HandtiedExtensions Method. Teaching them the great benefits K HantiedExtenstions provides to their clients. Did you know that K HantiedExtensions cause no stress or damage to the natural hair and have no mess because no glue, tape, or heat is applied. This creates natural looking hair extensions that give your clients flexibility to style. If you are interested in our next training be sure to sign up here! And read on for some class testimonials and topics covered in the day training. Kim is an amazing educator!! This class was very educational and I learned ALOT! I would highly recommend this class to anyone who wants to learn handtied extensions. Kim is super sweet and answered EVERY question I had! Thank for the class, I will come back for more of your classes in the future! Kim was amazing! Extremely thorough and knowledgeable! After the class I feel confident with the skills and techniques learned. The class provides a stone foundation for the handtied method and the services that go hand in hand with it! I HIGHLY RECOMMEND! I loved the intimate setting with less students! Thanks to Kim for being willing to adjust to a LEFTY! I loved working on the live model, along with my practice mannequin! Thank You Kim for your humbleness, I really enjoyed learning from you. You’re Perfect! This past October, I was grateful to experience the Mounir The Transformation Masterclass in Milan, Italy. What a wonderful class it was and I'm so excited to bring the knowledge I gained to my clients! Check out the photos and videos below. If you want to be even more mesmerized by Mounir’s haircut and color transformations, you’ll definitely want to follow him on Instagram to see more of his artistic work. In addition to his Beirut salon (which has 2.6 million fans and a 4.9-star rating on Facebook, BTW), Mounir has two salon locations in Kurdistan in Iraq. 1. Give your ponytail a rest. This cute and quick style is great for hot summer days, but it causes breakage and scalp stress. It's even worse as the weather gets colder, and your hair gets dryer. Instead, wear your hair mostly down or softly pinned up. And even if you wear a ponytail a few times a week, never wear it to bed. No matter what, you should get a haircut to clean up your ends every 8 to 12 weeks. A summer of sun exposure can leave your hair damaged and fried. And, the longer your hair, the more susceptible you are to breakage. Speak to your stylist about cutting away split ends, or consider a fresh new style altogether. 3. Give your hair an extra dose of moisture. You know the itchy, dry skin that naturally comes with colder weather? The same goes for your hair. "The transition between summer to fall is when it is vital to add a hair mask or change your shampoo or conditioner so your hair can adjust to the change in temperature. It's vital to add a mask or gloss treatment, which will condition ends and give your hair lots of healthy shine. Consider a bi-weekly deep conditioning treatment to combat static and tangles that come with fall hats and scarves. Just 10 minutes a few times a week is all you need to keep hair healthy. 4. Invest in new styling products. Use Natural Ingredients. Using heat-activated tools can cause all sorts of damage, especially during the colder months. Natural ingredients are the go-to because they won't strip your hair of oils like synthetic and alcohol based ingredients do So, you should add a few protectant products (spray, serum, mouse, or cream) to your winter beauty arsenal. And before you pick up the blow dryer or curling iron, spritz a touch of protectant on your wet strands to help prevent breakage. 5. Buy a New Clarifying shampoo and conditioner. Invest in Volumizer. For Daily Use, Make sure to use a quality cleanser that washes away normal wear and tear from the environment like pollution and smoke, but does not strip your hair of its natural oils and lipids. Summer can leave a lot of build-up at your roots – salt sprays, sunscreens, and sand can all cause greasy, limp roots. Start the new season off right by giving your scalp a good detox by using a clarifying shampoo and conditioner once every two weeks. Try our favorite Treatment Shampoo from Oribe! As the weather gets colder, the humidity decreases, which may cause your hair to go flat. A good volumizer will give your roots the much needed boost! Disclaimer: clarifying shampoos are not made for those for color treated hair because it will strip hair of color. Color-virgins only. 80s hair is back? Our 5 favorite flashback trends! Am I having flashbacks? Nope! Looks like the hair of my youth is making a comeback. Let's hope this trend brings less AquaNet than we used back in the day! The earth will thank us! The good news is the opulent, teased, gelled-to-oblivion '80s hair is making a come back, in a subtle less over the top way. We have left behind the side ponys, feathered bangs and teased-plastered hair that doesn't move. So what's been seen on the runways? Who can forget Blondie's punk shaggy bob in her Heart of Glass video? This year on the runways we noticed this great signature look is coming back! We have Cyndi Lauper to thank for this! She was definitely a trend setter of this hair fashion. In the 80s she had bright reddish orange hair with streaks and sections of yellow, blue, purple, the list goes on. Thankfully this trend is making a comeback in a more subtle way, with Pastels, and highlights of bright fashion color mixed with your natural hair color. We have even done this on a few clients, check it out. This is an 80s trend we can all get on board with! Madonna has been know to sport the high pony quite a bit in her early career. And with all this crazy summer heat it's the perfect trend to make a come back. If you're anything like me you think of perms and that awful smell that burns your eyes comes to mind! Well good news ladies, perms have come a long way, and formulas aren't as harsh and toxic as they used to be. This is kind of a double, as Volume is all over the runway this years, which is what you get with a Tight Perm! Whitney Houston rocked the tight curly perm with Volume all throughout the 80s! This is another trend that Cyndi Lauper was in on since the beginning. She has inspired quite a bit of hair fashion over the years! 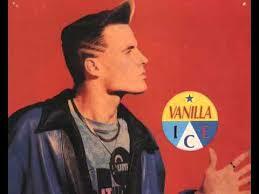 But she's not the only one who loved this trend in the 80s, Will Smith, Boy George, Vanilla Ice. Recently many current celebrities such as Kelly Osborne, Rihanna, Demi Lovato and many more have been rocking the shaved sides! Get Silky Sensational Hair! Does a Silk Pillowcase really make a difference? Recently I've heard so much about how using a silk pillowcase can take your hair care to the next level! Well, I've decided to investigate! The added bonus I found once I started researching, is sleeping on a silk pillowcase also does amazing things your skin! So this is a double-duty beauty tip! According to Essence.com this is the best that beauty sleep has to offer. 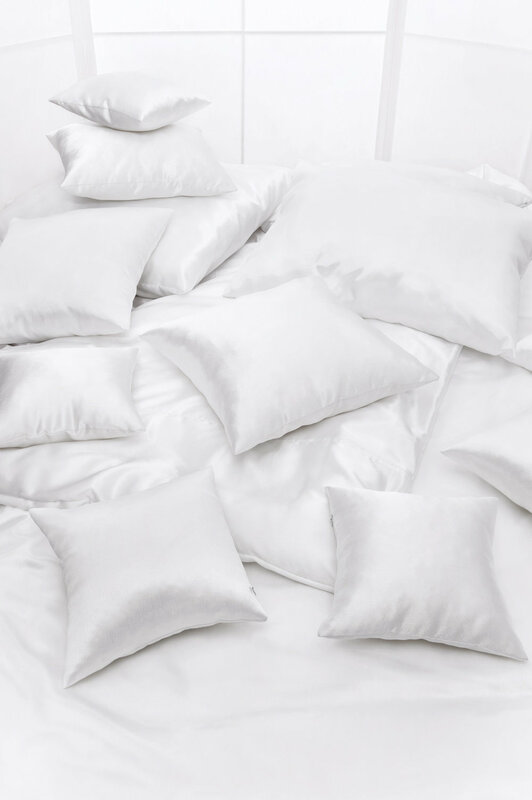 The majority of us use a cotton pillowcase, which isn't a bad choice. But, Cotton is a material meant to absorb moisture, and it's usually colored, meaning it contains dye. Sleeping on this type of pillowcase, will create friction when your head moves in sleep. This can ultimately result in broken hair and damage to the hair follicle, creating more frizz and less shine. On the other hand Silk is a material that will allow hair to slide around more smoothly so your will have less breakage and no more bed-head! Can't go wrong there! Additionally, your skin and complexion can benefit from a silk pillow. Because the silk is smooth and soft, you'll wake up with less irritated skin, sheet wrinkles and more hydrated skin and hair. Plus, silk breathes better than cotton — so your pillow will be cooler. With all these reasons! I'm on board. Switching my pillowcase ASAP!!! Makes you feel luxurious sleep! So much great styling this spring giving me all the feels!! I wanted to share a few of my favorites with you! Having the right hair color makes such a big difference in how you look, which is why choosing the correct one is so important. We all have different skin tones and types and it's not always as simple as just choosing a color and going for it. If you aren't trained in color theory, you won't know what the most flattering hues go with your skin color. Determining your Skin Tone can often be the hardest part, So here are some descriptions and some celebrity examples of each skin tone. Winter Blues got you down? Here are my Favorite Spring Color Trends! If you've been watching the news this week, you can see that Winter is just not letting go! And even though I know I'm lucky to live in Florida — where our winter is almost non existent, we also had a 46 degree night earlier this week. But I don't want to let this cold winter weather to get me down . . . so here are some Spring Color Trends to keep us warm until Spring really does roll around. Is DIY Color good for my hair? There is a whole new trend taking over the Internet . . . DIY hair color. How do I know? Well, I see an ad pop up in my feed at least 5 times a day promoting it, and I've had several friends ask me if they can damage their hair with color they buy from the internet. As a hair stylist, I know what box colors can do to people's hair, as I've had to do many corrective colors over the years. I wanted to write this blog to help guide any of you considering box hair color. First let's start with some basic comparison. Professional Color: Deposits color molecules on the inside of the hair cuticle where the natural melanin lives. These molecules, larger than your melanin, work with your existing color to create a special hue that’s all you. Box Color: Stains the proteins in the cortex, changing their chemical makeup. Since hair is about 90% protein, this means that your hair is basically no longer your hair. It has now been physically changed. - Box Color IS Unpredictable: It's almost guaranteed your hair will not look like the box. To make mater worse, lack of knowledge can make at home box color unpredictable. - You are not a colorist: Sorry, but you'e not. Colorist attend school and receive training on the "laws of color", formulations of color, processing times, how to select the right developer or the correct strength, how to protect the hair... and much more. - One size does NOT fit all: Box color is formulated so everyone and anyone can use it. The problem with that is not everyone's hair type, condition or color are even remotely the same. In fact, the majority of box eyes are formulated with maximum amounts of pigment and ammonia, so it's able to work on most people. This unnecessary overload of chemicals and ingredients wreak havoc on hair health, and can even cause allergic reaction. Professional Color: The developer is chosen based on the strength your hair needs to get the results you want while leaving your hair in the best possible condition. Box Color: Uses the highest developer. Because this color formula is meant for literally everyone, it will include the most potent chemicals. A hair color formula meant to cover grey is wildly different than someone who wants to “go blonde.” You can see how a "one size fits all" approach may not work. - Highlights, Dimension, Lightening, Ombre, Fashion color . . . In a box? : Box color contains just one formula. Most colorists will use multiple blends of colors and formulas along with strategic placements to achieve the look you want. Also different formulations will call for different developer strengths and processing times. And don't even get me started on the damage you can do trying to achieve pastel and fashion hair trends at home! - Repairing and Correcting AT HOME BOX COLOR GONE WRONG can be expensive: Keep in mind that if it all goes horribly wrong, it can be very expensive to correct. Be sure to check out the Header Gallery of some color correction we have had to help clients with. Professional Color: Stops working after a certain amount of time. The potency of these colors is meant to diminish slowly after they are mixed, which is why your colorist mixes bowls as they goes. It also means that once the product has been applied and processed, it’s done. Box Color: Keeps working over time. These are called “progressive” dyes because they keep processing and building on themselves over time. So every time you apply, you hair is going to get darker and more damaged. Especially with the super dark levels, the color may eventually be impossible to change, even with professional lightener. - If you still choose to use DIY hair color, please note: that you shouldn't go for a drastic change. You should choose a color that is within the same level of your natural hair color, and simply change the hue. Box color will always be around and millions will use it. But if you ask any professional, they will tell you what a bad idea it is to put your hair through box hair color. The quality of ingredients in box color and in "drug store" shampoos, conditioners, and products is of a far lower grade than any professional lines. So yes your box color may come out ok the multiple times you do it, but the integrity of your hair will most definitely be jeopardized. And if you do decide to change it, removing box color is very difficult, and can be highly compromising on your hair if it's not intensely treated before and after the service with professional products. And trust me, it's not just for money, it's because any good stylist truly cares about your hair being at it's best. If you are a follower of my social media and website, than you know I'm always continuing my education. If there is someone I want to study under...geography is NOT an obstacle! Last weekend, I jumped a jet to New York to study with the gentlemen who created the #livedinhair and #livedincolor movements. Anh Co Tran and Johnny Ramirez are both masters of their trade, innovators in the industry and disruptors to the norm! It's no wonder that people travel across the nation to learn from them. And I'm no different! It was a great weekend, and I learned so much. I can't wait to start applying these lessons to my everyday workflow.